NEW CANAAN, CT – March 13, 2002 – After suffering a 10% price decline in 2000, the average price paid per bed for nursing homes increased by almost 4% in 2001, according to a report to be published by Irving Levin Associates, Inc., a research and publishing firm that tracks mergers and acquisitions in the seniors housing and health care markets. 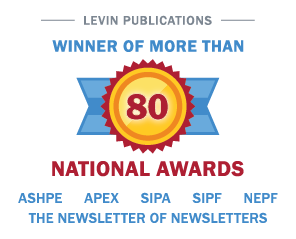 The average sales price paid for skilled nursing facilities in 2001 was approximately $38,000 per bed, according to Levin’s report, The Senior Care Acquisition Report, Seventh Edition. The average per bed sales price in 2000 was $36,600. The median price paid per bed has been approximately $33,000 in four of the past five years, including 2001. “After the 10% price decline in 2000, the small rise in the average price is welcome news for operators and investors alike,” stated Stephen M. Monroe, editor of the report. “Higher Medicare reimbursement has helped stabilize operating cash flow at many nursing facilities, but any attempt by Congress to take away some of the recent increases will certainly have a negative impact on industry and facility valuations,” continued Mr. Monroe. In the assisted living sector, the average price paid per unit increased by 3.5% in 2001 to $85,500 per unit, despite the financial problems of many large, national operators and the lack of liquidity in the market. The median price per unit jumped by 30%, which “demonstrates a larger appetite among buyers, as well as lenders, for the higher quality facilities in the market,” according to Mr. Monroe. In the independent living market, the average price paid per unit increased by just 1% to $97,400, but the median price paid soared by 30% to over $101,000 per unit. “Almost all of these communities had occupancy rates of 90% or better and were relatively new,” stated Mr. Monroe. The independent living sector has not suffered from the same financial difficulties as both the skilled nursing and assisted living sectors. The Senior Care Acquisition Report, Seventh Edition, contains statistics on the nursing home, assisted living and retirement housing merger and acquisition market, including prices per bed or unit, capitalization rates, income multiples and regional statistics in more than 100 pages. It also includes transaction information on each of the publicly announced senior care and home health care acquisitions in 2001. HOSPITAL M&A ACTIVITY DIPS SLIGHTLY IN 2001, WHILE OTHER AREAS HAVE LARGER DECLINES According to Irving Levin Associates, Inc.